The noisy neighbour of The Great Escape Festival has let loose a torrent of talent as it reveals its line-up for 2018, offering up a diverse serving of rock, punk, pop and more. The Alternative Escape was set up as a solution. So many superb unsigned artists were going unheard, missing out on the audience and adoration they deserved because of a lack of space in the main festival. So, why not fill the remaining venues in the city with unofficial gigs and enlighten Brighton with a whole new batch of budding musicians? Well, that’s exactly what they did. There’s one last thing to mention about The Alternative Escape. If this sumptuous serving of new music has got you salivating, and you’re ready to splash the cash to experience all the amazing artists and venues on offer, you can put your wallet back in your pocket. It’s free. All of it. The Alternative Escape was set up as a solution, and it continues to be just that. An answer to the prayers of musicians and music-lovers alike. I think you’ve got the idea by now. And, if you somehow haven’t, the answer is The Alternative Escape Festival. 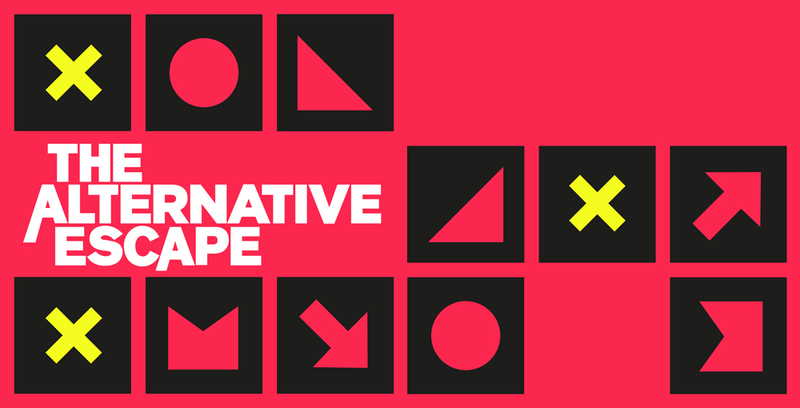 Check out The Alternative Escape’s website for further information, and also be sure to check out the full programme for each day: Thursday, Friday, and Saturday. If that’s not enough for you, you can still get tickets to The Great Escape here.